It's right around the corner! 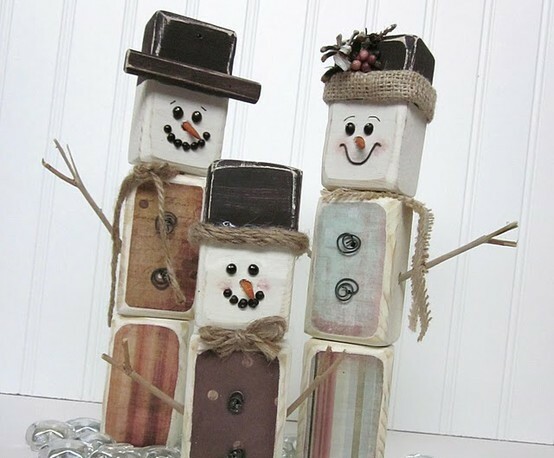 Craft night or shall I say day is December 10th from 12pm-4pm (if you wanted to come earlier let me know). If I don't have your order already, please email me prior to December 2nd (this Friday)! Xmas Card Wreaths - This is for organizing all of those fun and pretty Christmas Cards we get. 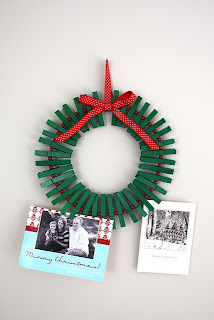 I will have scrapbook paper and paint that you can jazz up this look with. This very pretty trees make for great centerpieces or mantel decor. 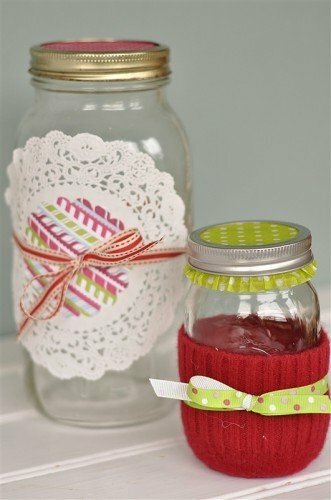 It is a easy non sewing project. A little needle and thread and I will teach you what to do! 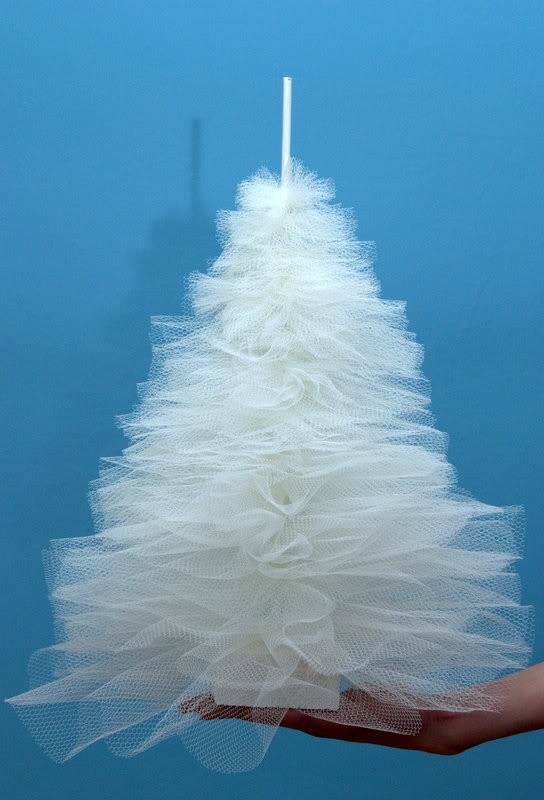 These trees come in light green or cream, they are about 16-18 inches tall. It also comes with a star ornament or bring your own broach or other piece of jewelry to finish the top. and I'll get your ornament shipped next week. Thanksgiving, and I won't be home until Sunday. because my sweet little 2 year old decided she wants to potty train. but Halle decided she was ready and didn't want to wait that long. I can just spend every spare ounce of time with my family. I continually dream of having a beautifully landscaped yard. and I imagine smelling them, one by one. Then I wake up to reality and realize that I don't have a yard, and that when I do have one, I will actually have to put in some effort into making the yard beautiful, and I happen to know nothing about planting flowers. That's where Bulbs. Dig, Drop, Done. comes in. Their website is simple to navigate, and I love how clean and organized their site is. and they even have a bulb planting calendar and planting chart! They also have three "ladies" that will help you along your way. I can easily see myself as Marcy, the super mom. She has twin sons and a daughter and knows a little about bulbs. 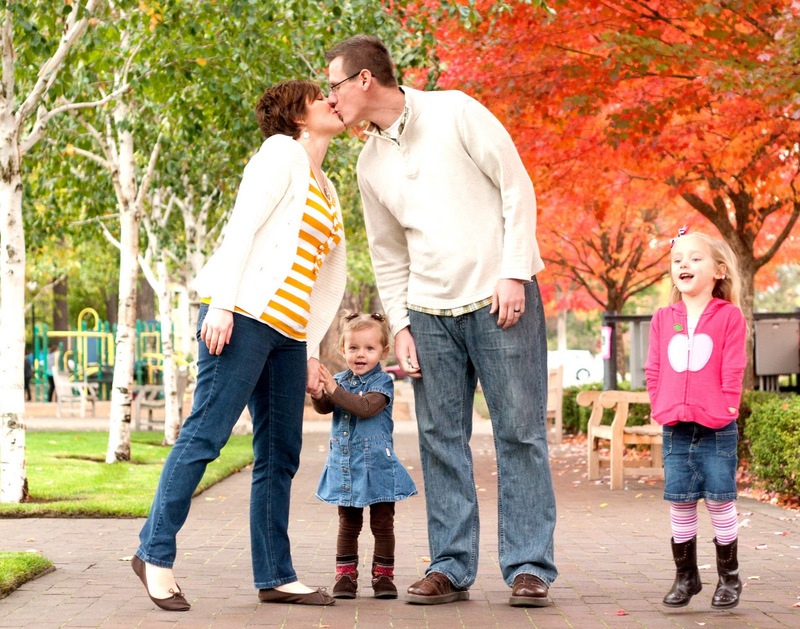 She wants planting bulbs to be simple so she can spend time with her kiddos. I can completely relate to that! I can still plant bulbs and make my home beautiful. did you know that Bulbs: Dig.Drop.Done. is giving away a $5,000 yard makeover? You should be jumping for joy right now, because all you have to do to enter is submit a photo of your yard to Curbside Chaos. Not only will the lucky winner receive a $5,000 yard makeover, but they will also receive a visit from Taniya Nayak (@TaniyaNayak on Twitter), and Taniya will go through your yard and give you tips and advice on the best way to update your yard. She will give you tips on how to incorporate flower bulbs into your landscape! What I also love about this giveaway is that for every share on Twitter, "Bulbs. Dig, Drop, Done." will donate $1.00 to Rebuilding Together - the nation's leading nonprofit, working to preserve affordable homeownership and revitalize communities. 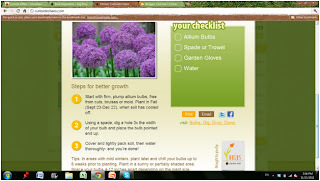 CurbsideChaos.com also has a "Garden Guru" tool (located in the bottom left-hand corner of the screen) that can help you figure out which type of bulb is perfect for your home, depending on where you live. There are 4 simple steps to using the "Garden Guru". #2. Select your location within that country. #3. Choose the type of bulb you want to grow. #4. 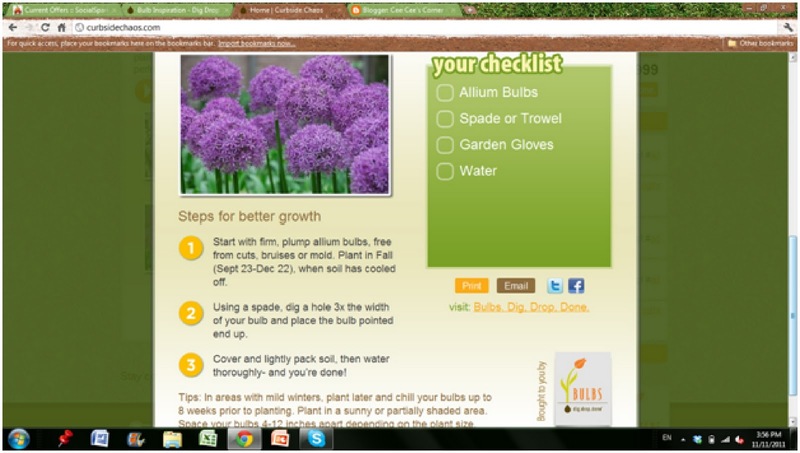 Check out the planting guide that shows you how to plant your bulbs. and tell me what your favorite thing about their website is! visit www.digdropdone.com to learn more! Thank you to all who voted on which ornament I should make for my Handmade Ornament Exchange. 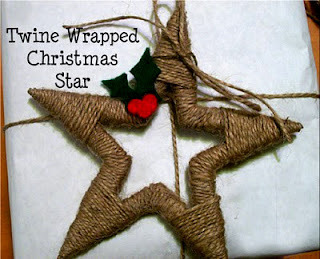 The Twine Wrapped Christmas Star! 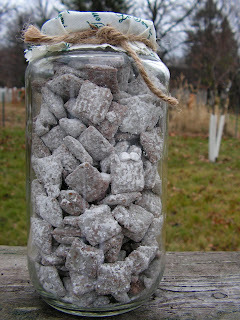 In the next 2 weeks, I will be busy making about 25 of these bad boys. and one of them will be for you! remember to leave a comment for each entry! *Become a follower of this blog (one entry). *Like Cee Cee's Corner on Facebook (one entry). if they start following this blog, then you'll get 2 entries! *Tell me what your favorite thing about Christmas is (one entry). This giveaway will close on Friday, November 18, 2011. I am so excited to start making these little stars! Now, I had better stop blogging and start creating! THANK YOU to everyone who voted on the Handmade Ornament Exchange! I will announce the winner on Monday!! you can go here to check it out. 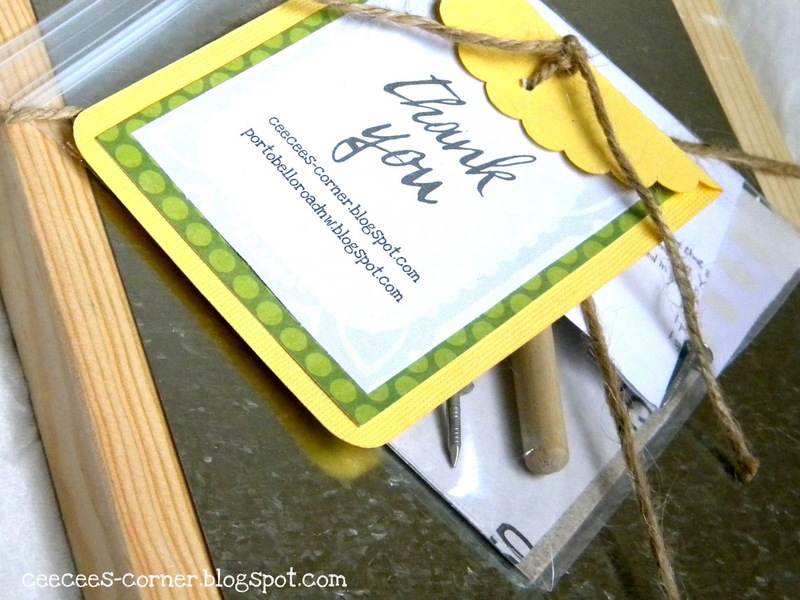 It's our November craft kit being shipped! I cannot even begin to tell you how excited I was to ship these bad boys off. 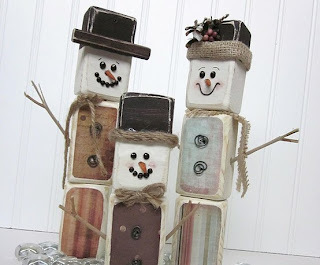 you can go here to read all about our monthly craft kits! I say "our" kits because my friend, Christie, has been putting them together with me. Each kit comes with everything you need to make a craft. Basically, we're doing all the dirty work, and you get to have all the fun! If you have any suggestions, we would love to hear from you! I would also like to just take a little moment to thank all of our wonderful veterans. another possible deployment next year. Now, have a good weekend. 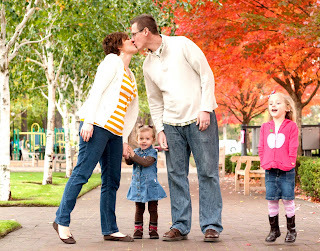 When I look at new blogger websites, I'm always curious as to what the blogger's family is like... so, I thought I'd introduce you to my little family. 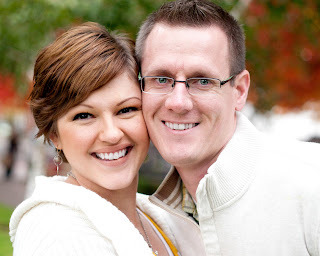 Meet Nate, my hubster. He recently graduated with his Master's in Accountancy and works as an accountant. He is a major lover of sports! He makes me laugh every single day, and he makes some killer waffles. He is very easy going, but he shares his opinion when he has one. What I admire about him is he tries to see things from every point of view, not just his own. This can be a little frustrating for me because I am extremely opinionated and tend to only want to see things my way. He loves Heinz ketchup, the San Francisco Giants, and fishing. He lived in Taiwan serving a mission for our church and speaks Mandarin Chinese!! Meet me. 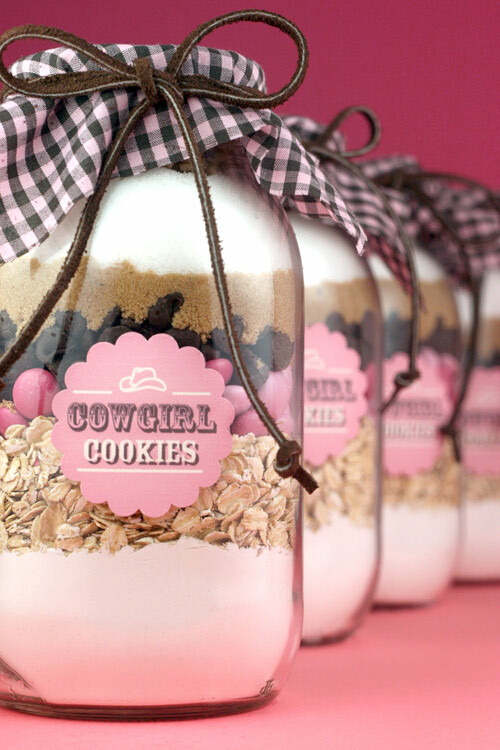 You obviously know that I love to bake and craft. I absolutely love clearance sales and I love shopping at Goodwill. I have terrible eyesight and am more than halfway legally blind. I am a lover of any kind of pizza, hamburgers and fries, ice cream, and brownies. I am not a morning person at all! I absolutely love the ocean and could listen to it all day. Nate and I went to high school together, but never really talked. 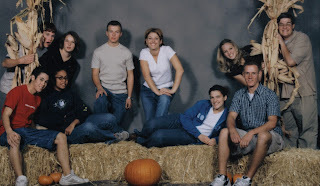 We went to school dances in the same groups, and had the same friends, but somehow our paths never crossed. About 3 years after high school, we started working at the same credit union together. I didn't like him at first, but now I find him irresistible!! I'm the one in the white shirt. 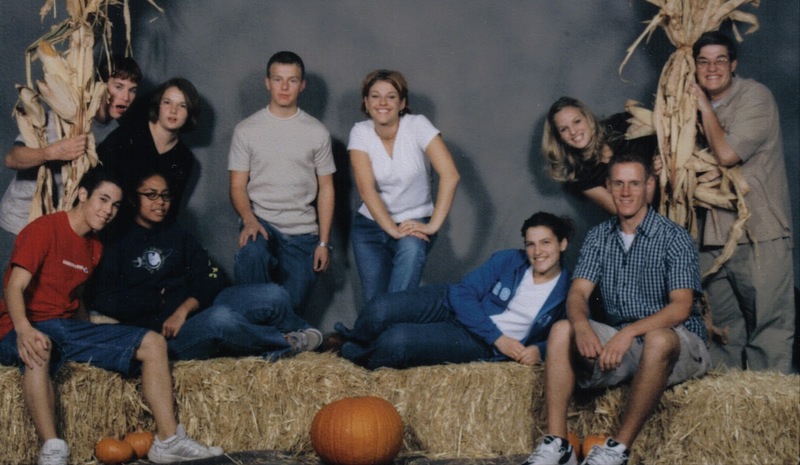 Nate is on the right in a plaid shirt. Oh we were so young! Meet Miss Ava. 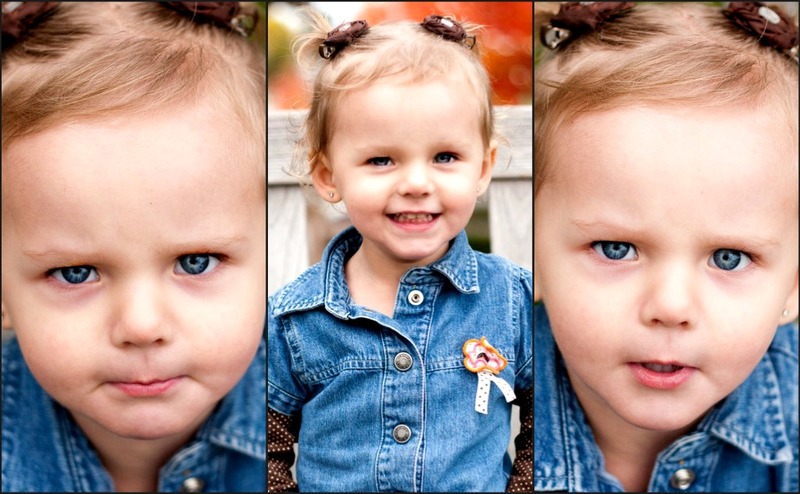 She is a spunky 4 year old, going on 16. She is extremely theatrical and loves to sing and dance. 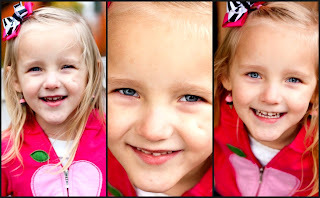 She is a quick learner and loves going to preschool. She prefers salad over pizza and fruit over meat. 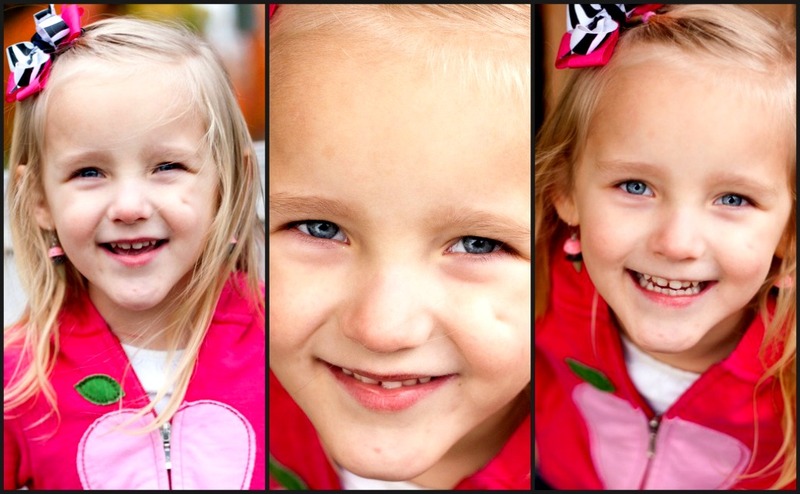 Her favorite color is pink and she loves anything with sparkles. Meet Miss Halle. She is a feisty 2 year old, and loves to climb everything! She is extremely strong and loves to do flips. She is literally a gymnast in the making. She would drink milk all day if I let her, and she has recently taken an interest in playing dress up. She loves to try on shoes and will spend hours just emptying her shoe box and trying every single pair on. We love going to Costco on Saturday's and eating hot dogs. We love watching "Good Luck Charlie" and "Phineas and Ferb" together. We recently moved to Oregon where my husband got a job. We didn't know a single soul and we miss our family like crazy!! Remember to vote for the handmade ornament exchange! Voting ends this Friday!! 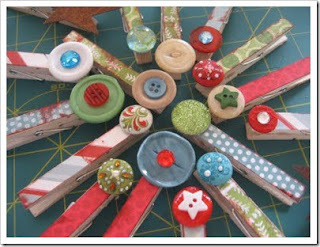 The size of our swap has grown from 10 to 14 so I will be making 14 ornaments!! Crazy! So, I jumped on board and started an etsy shop. I'm not gonna lie, I was pretty nervous about opening one. But I just love creating things, and I can't keep everything I create! Seriously, my house is being overrun with projects and decorations, so I decided to sell what I make. :) You can check out my new etsy shop here. Why such a funky name? 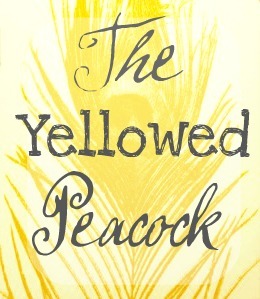 Well, for starters, my favorite color is yellow, so I just knew that had to be in the title! After visiting seeing some peacocks at the zoo this summer, I have been absolutely smitten with them. They are graceful, unique, and have some of the most beautiful colors I have ever seen. So, after being inspired by some peacocks and my favorite color, The Yellowed Peacock etsy shop was born! It has taken me a few weeks to get everything set up. First I had to get the guts to actually start a shop. Then, I had to design my own banner and logo, which I did using Picnik. Oh, how I love that website! and here's my little shop banner! I then had to set up all my shop policies, shipping policies, etc., which took some research. But I'm excited to have my shop open! Have any of you ever opened an etsy shop? If you have, then you need to give me some pointers! 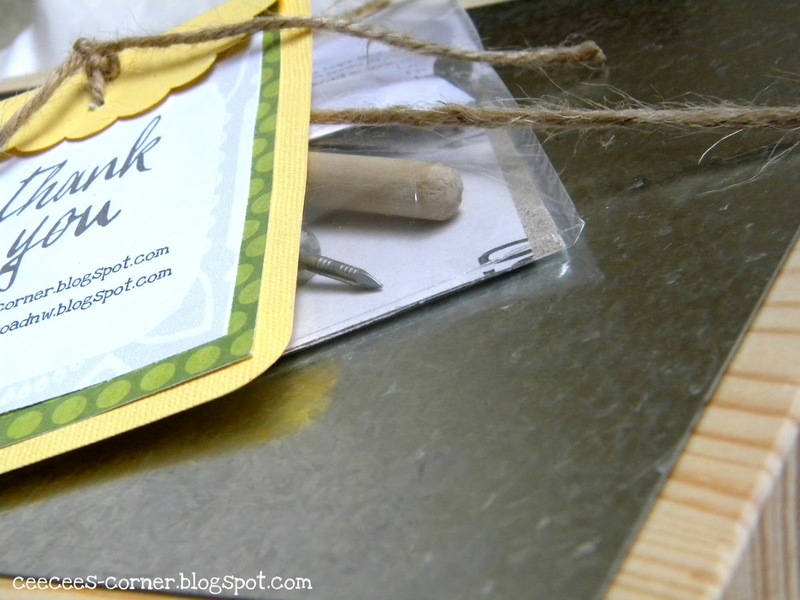 You can also leave me a comment with a link to your shop, and I'll check it out! Now, if you are browsing my shop and see something you like, but want different colors, then let me know! I can do custom orders. Happy shopping!! Remember to vote for which handmade ornament I should make! you can go here to read about it! Voting ends on Friday, so get crackin'! Now, onto the recipe for the most. delicious. pumpkin. chocolate.chip.cookies.ever. And when I say ever, I mean ever!! some pumpkin chocolate chip cookies on sale. 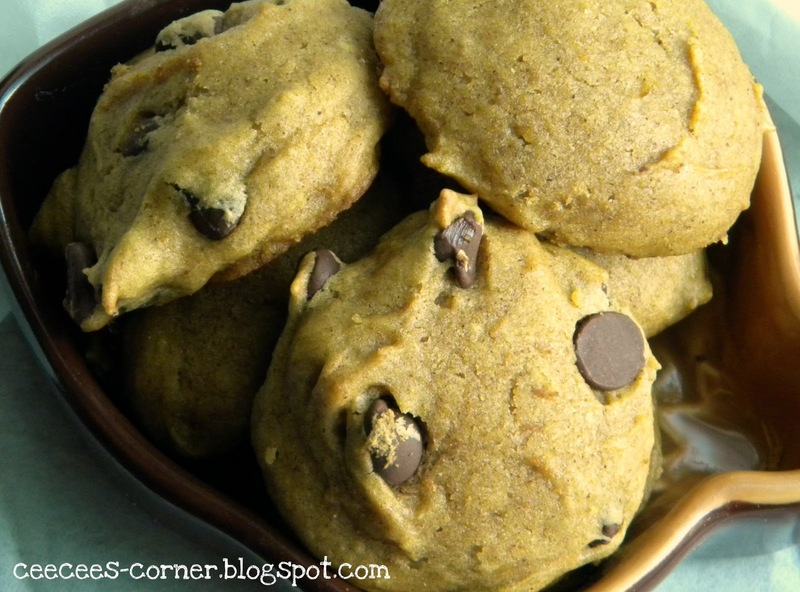 that pumpkin chocolate chip cookies are one of my all time favorites. I was super stoked to go home and take a ginormous bite into one of those delicious cookies! and opened the little plastic container that held those little cookies. I took one bite, and immediately regretted buying those darn cookies. Because they were crumbly, dry, and didn't have any flavor to them. Oh, it was a sad night. However, I was determined not to let those stale, pathetic cookies beat me! If I couldn't buy a decent tasting cookie, then by golly, I was going to make one! I scoured the internet looking for a recipe that was easy and fast. 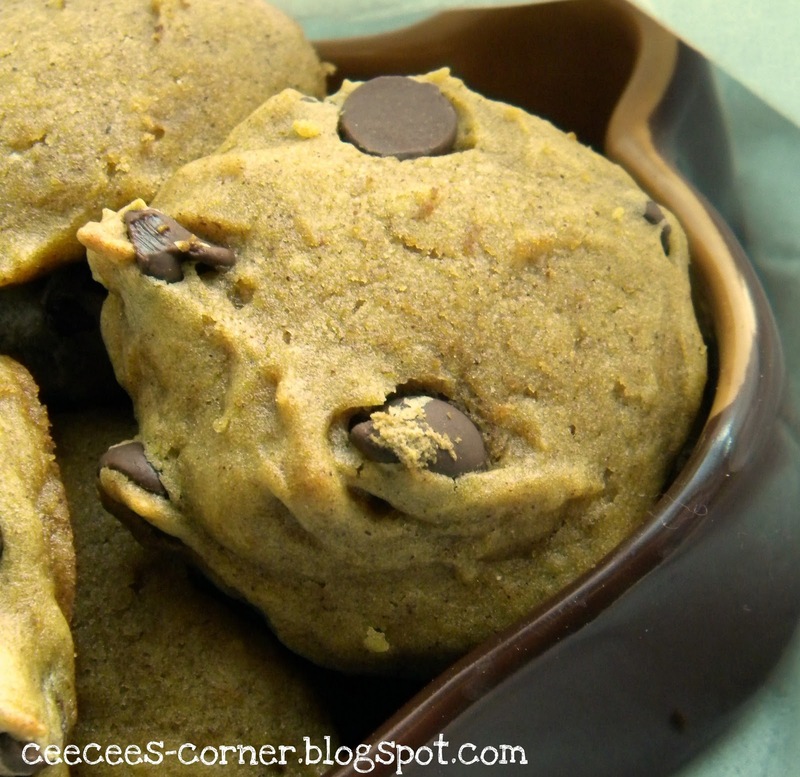 I needed a moist pumpkin chocolate chip cookie! STAT! After a few hours of searching, I found the golden ticket. And now, I am sharing my little golden ticket with you. *Combine pumpkin, sugar, vegetable oil, and egg. In a separate bowl, mix together flour, baking powder, ground cinnamon, and salt. Dissolve the baking soda with the salt and then stir into the flour mixture. Add the flour mixture to the pumpkin mixture. *Add vanilla and chocolate chips. *Drop by the spoonful (I used a mini ice cream scoop) onto a greased cookie sheet and bake at 350 degrees F for 9-10 minutes. First off, I have to apologize for my lack of posts. I have been battling sick children this week and I came down with their fun little sickness late last night. Bleh. Plus, my mom came to town this weekend, so I wanted to spend every waking minute with her! I realize that there are maybe 5 of you out there who read this, so to you, I offer my deepest apologies! Now, on to the good stuff! This year, I have been invited to participate in a handmade ornament exchange. I make 10 ornaments, take them to a party, and receive other fun ornaments that my friends made! I'm really excited because I have some uber crafty friends with great taste.... but I honestly don't know what ornament I want to make!!! So, I need your help! I'm going to post a poll on the side of my blog so you can vote on which ornament I should make... You'll only have a week to vote, so vote now!!! Please, please, please vote!!! I am having a hard time making up my mind, so I am reaching out to you! On a little side note.... 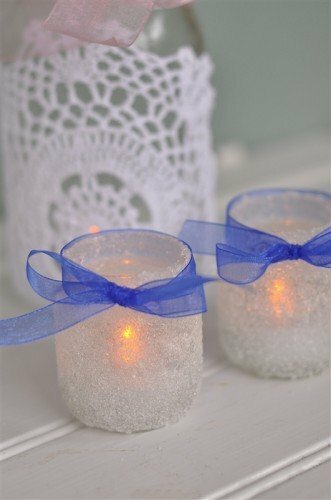 I have had a request to find find some ideas for Christmas neighbor gifts that are simple and easy, so I am currently working on putting some ideas together for that! 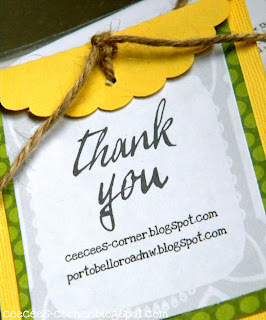 I really appreciate all the feedback I get on this blog!